Venus Vamp is Sydney’s “Dark Princess of Burlesque”. A showgirl priestess who concocts spellbinding shows of vintage decadence and carnivalesque delights. She has danced all over Australia since 2006, with career highlights including Perth Burlesque Festival 2012, Australian Burlesque Festival 2011, Adelaide Fringe 2012, Sydney and Melbourne Fringe 2011, Art and About Launch 2011 and Sydney Gay and Lesbian Mardi Gras both 2011 and 2012. 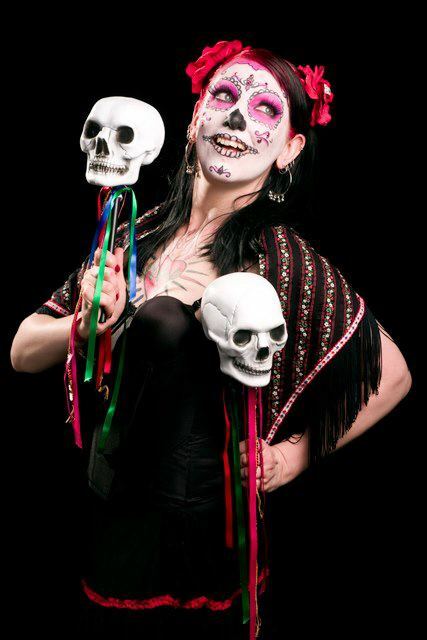 As well as producing popular touring show “Anything Goes Cabaret” and Halloween burlesque specials “Creepshow Sideshow” 2011 and “Night of the Stripping Dead” 2012. With an vast array of acts and themes up her chiffon sleeves, Venus specialises on the darker sider of life. Experience what this burlesque dancer has created but do watch out : this Vamp has bite!